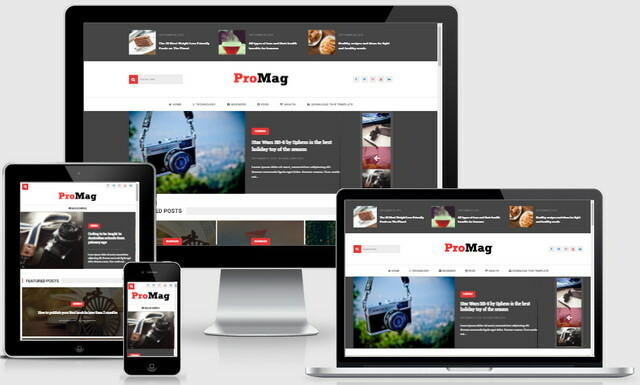 ProMag Responsive Blogger Templates is a clean, minimalistic blogger themes focused on content. Designed to display content in a beautiful way. Our purpose was to create minimal and elegant themes with nice to eye typography. ProMag Blogger Templates gives you the power to customize your blog with just a click of the mouse, so all you have to care about is telling your stories in your favourite way. This Templates which we created by considering the rules of search engine optimization (SEO) will provide you extra benefits at the search results. It is perfect for your blog!